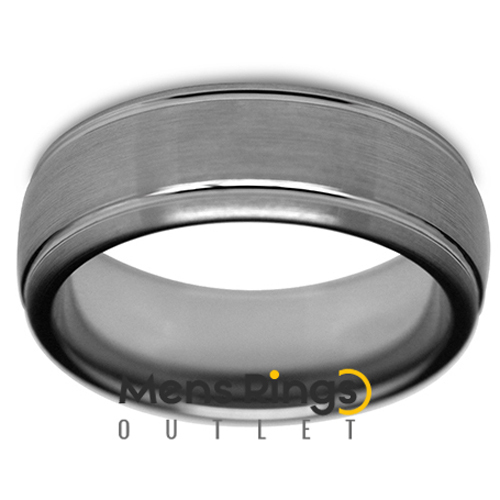 Features a domed band in a brushed finish tungsten, accentuated by two thin polished grooves through the entire band in parallel and 8mm width. 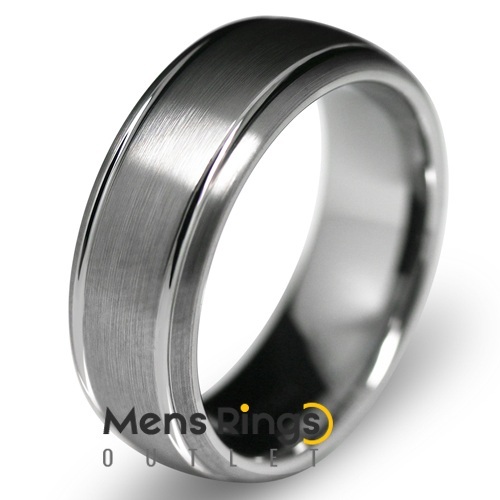 Harmony features a domed band in a brushed finish tungsten, accentuated by two thin polished grooves through the entire band in parallel. Harmony is finished to a width of 8mm. Choose Harmony if you like the idea of the contrasting grooves, a domed band or a brushed finish.